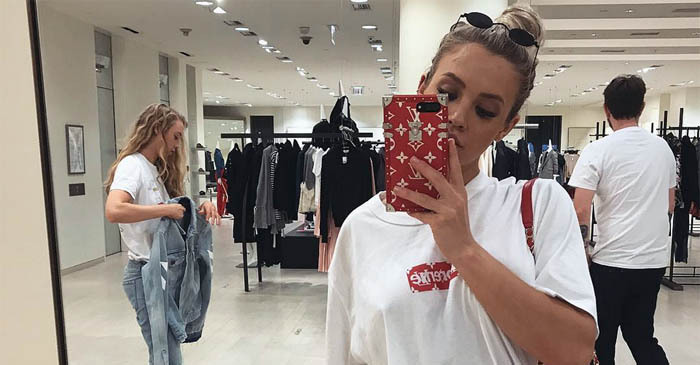 Tammy Hembrow - Age, Instagram, Husband, Parents, Net Worth, etc. Tammy Hembrow – Age, Instagram, Husband, Parents, Net Worth, etc. With over 8.9 million Instagram followers chanting Hail Tammy! every passing minute; definitely, you know that we’re going to do a piece on Instagram hottest – Tammy Hembrow. Tammy Hembrow is Instagram queen/mogul and a fitness guru. As a matter of fact, her outstanding physique that she documented PRE and POST giving birth, inspired millions of mothers throughout the world to never give up on their bodies. Furthermore, her fame exceeds Instagram and she’s on different social media platforms promoting her programs and sharing her pictures and fitness goals. Also, on YouTube she broke the one million subscriber barrier and still counting. How old is Tammy Hembrow? Certainly, she was born on April 22, 1994 to an Australian father and a Trinidadian mother. Also, she was born and raised in Australia. With over a smashing, 8.9 million followers Tammy Hembrow sure does have an incredible influence all over the world and especially in the women fitness industry. However, Tammy Hembrow’s Instagram blew up after she documented her body PRE and POST pregnancy; and then soon after she was given the credits of being the motivation behind Khloe Kardashian’s insane transformation. With this in mind, seeing such incredible transformation, Tammy Hembrow sure did inspire all the women out there who are terrified of post-pregnancy body insecurities. Tammy Hembrow fitness journey began when she was in her late teens doing yoga to become an instructor. After realizing that she’s more into exercising and she can improve her body with muscle; she became even more motivated to go down this route. In addition, after research help from her personal trainers, she became an icon in the fitness industry especially when it comes to her glutes. Consequently, Tammy Hembrow now provides fitness programs on her website and on her app such as “8-Week B**ty”, “Gym B**ty Program v2” and her famous “Pregnancy Program”. Hembrow gives her upper body at least one day of workout in which her lower body gets a chance to recover while taking the weekend off to spend time with her family. She admitted recently that throughout her early and mid-teens she had an unhealthy lifestyle and during her early fitness career she had no fitness goals due to lack of her own knowledge. Then she traveled to Switzerland and Malaysia to experience a different lifestyle and then returned back to Australia. After her fitness career blew up, now Hembrow lives in Queensland with her children, Saskia and Wolf who are often shown on her Instagram. Living the luxurious life, Hembrow does often post her pictures under the sun at Bora Bora or Hawaii. Obviously being a queen in the fitness industry takes a lot of discipline and well-managed meal plans. Accordingly, Hembrow emphasizes on the importance of lean protein from chicken breasts, fish and turkey. But due to her busy schedule and being a mom of 2, she needs to use protein supplements to satisfy her daily protein needs. According to Hembrow, her meals are divided so that she has a meal every 2 to 3 hours and she makes sure she has a fair share of complex carbs from brown rice, oatmeal, and potatoes. 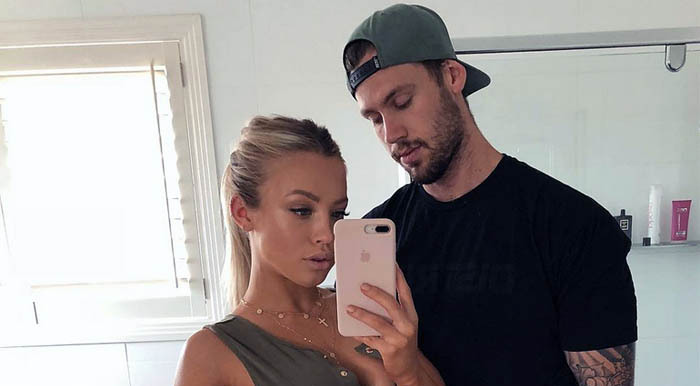 Tammy Hembrow was engaged to Reece Hawkins who is a personal trainer. However, in June of 2018, Tammy Hembrow officially announced to the world about her split with her fiancee after weeks of rumors and speculations. Tammy Hembrow’s father is an Australian actor, musician, and writer who also was a producer-director. On the other hand, her mother is Trinidadian and unfortunately not a lot is known about her. How tall is Tammy Hembrow? As a matter of fact, Ms. Hembrow is 5 feet 5 inches (i.e. 165cm) tall. And you guessed right – with a figure like that no wonder she has is considered a goddess on Instagram and in the fitness industry. In June of 2018, Tammy Hembrow announced her break up with her fiancee Reece Hawkins. Also, she openly admitted on her YouTube that her fiancee was absent from her life and that the break up ended in good terms. The fitness industry is huge, and billions of dollars are spent on people such as Tammy who promote the industry. But the burning question across social media is what Tammy Hembrow’s net worth? According to many sources in her life as well as industry subject matter experts, the fitness guru is worth around a whopping $2 million US Dollars. Tammy is a mother of two, and she has two sisters, Emilee and Amy. Equally, Emilee is also active on Instagram with over 900k followers, and following in the steps of her sister by sharing pictures of her early pregnancy. On that other hand, Amy has around 125k followers and works as Tammy’s General Manager. And as we’ve noted earlier, her father is an actor who has starred in few movies. All we know about Ms. Hembrow’s mom is that she’s from Trinidad. The family never mentions her and do a good job in keeping their mom in the shadows and away from the spotlight. Tammy is a fitness and life role model for a lot of women out there. With her outstanding transformation and interesting lifestyle, she’s sure up there as an Instagram goddes and on the top list of female fitness gurus. Love Tammy? What do you think about her? Share your thoughts and let us know in the comments box below.